Skins, cases and accessories are still a bit slim for the KEY2 LE... have you found something you like? Let others know what you got, where you got it and how you're liking it! the brother, the_boon and Dcs29 like this. While at the Rogers store in Mississauga ON on Thursday evening, out of the big 3 only Rogers had a single accessory: their after market brand of a tempered glass screen protector. Price was $35. 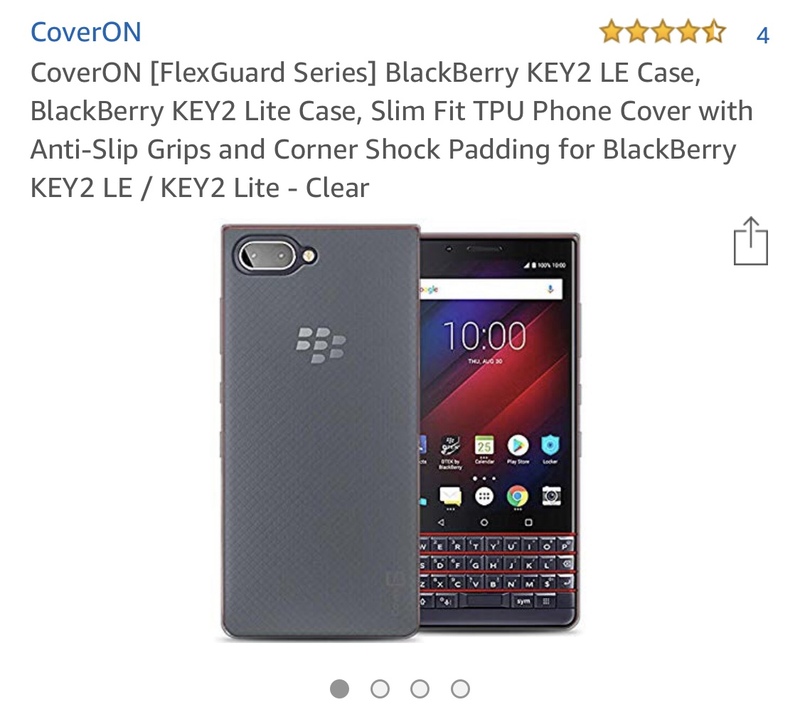 Anyone has this case with KEY2 LE? On Amazon UK it says that it is compatible with K2 and K2 LE. But on manufacturers web site and german amazon, it lists only K2. Which is funny because phone K2LE is not on amazon UK but is on amazon DE. The sizes are similar but not the same, I wonder if it will really fit or not. For 10$, it's pretty good. Fits perfectly on the Key2 LE. It's very transparent, you can see the back of the phone practically perfectly. The case is very, very thin. I don't feel like it'll provide any actual protection from damage in a fall. The side keys are a bit hard to press with the case on, the sides are kind of stiff and the buttons aren't as clicky as my key1. I think they'll work out over time as the case flexes more. They won't ship to the U.S.
Will Key2 screen protectors fit the Key2 LE? I had the Super Shieldz Key2 tempered glass on my LE. The front facing camera cutout is off by just a bit, other than that it works just fine. I ended up going with a blu-element tempered glass protector that's made for the LE. Update to this: I really dislike the case. It is an absolute grease and fingerprint magnet, worse than my Ringke for KeyOne ever was. It's so thin with no bezels, you don't feel face putting the phone face down or even on the backside because a grain of salt can scratch the camera. I wish we had more selection. Seidio launched their line for the Key2 LE. I'm debating on the Seidio Surface. I got the surface for my KeyOne and hated it, it was very uncomfortable. 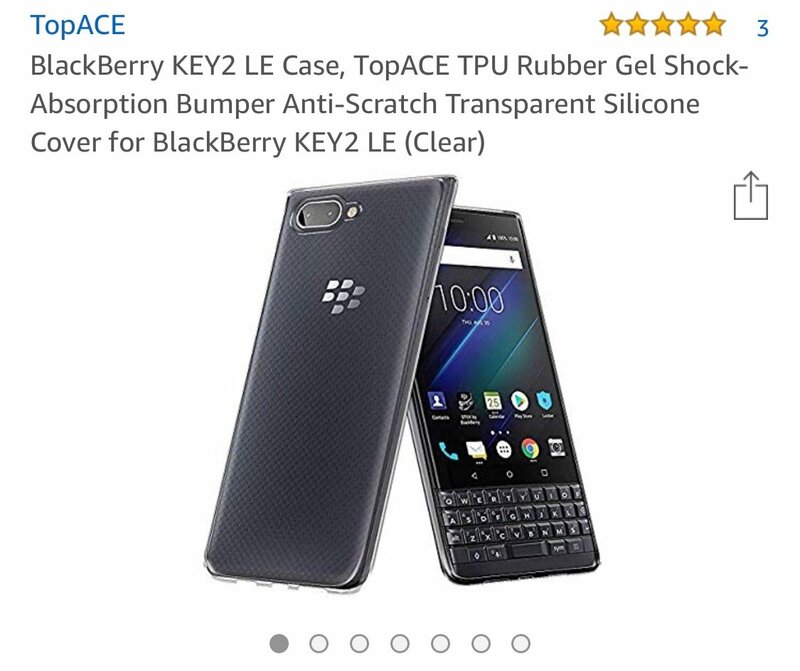 Just ordered a KEY2 LE clip/skin case combo on amazon while I wait for the seidio LE case to be back in stock I also ordered a screen protector ...Will report back when they arrive ! Amazon package arrived today with my case ! Last edited by Laa2004; 01-02-19 at 07:42 PM. are the photos displaying or should I post them on hosting service ? Ordered both of these, will see which one I like best. Super Shieldz came direct from brand/importer after I ordered on Amazon ! Dry Fit seems good will see how it works when attached ...first time using a non film screen protector ! I just received the SuperShieldz tempered glass shown above labeled Key2 LE. - no air bubbles, etc. This could also be because the phone surface is flat as opposed to other recent phones that I've had that were slightly curved. - Also since I did match the camera, speaker, and LED holes properly yet the nav key icons on the glass itself (AGAIN WHY???????) didn't quite line up correctly, even with the slight rightward tilt. This leads me to believe that the entire shield surface might be about 0.5 mm too short for the icons and about 1mm too short to extend to just before the top keys (the horizontal bezel between the screen and keys)? - They may say oleophobic and god knows whatnot on the packaging, but of all the glass protectors I've used, it's the biggest fingerprint/smudge magnet of all. It's frankly more fingerprint-friendly than the plastic case that comes in the Unicorn Beetle which was the "winner" previously. This could have been the best glass shield purchase ever IF it didn't have the black edges AND if it didn't have the nav key cutouts in the black background AND if it didn't attract fingerprints like moths to a candle AND was about 1mm or so longer. Since I am off a smidgen, it looks weird. This shield worked fine in combination with the Seidio Surface case for the K2 LE (see my review for that case here). Overall, I'd rate this a 3.5/5. Ok folks - please step up on your reviews of cases, etc. Not many reviews on Amazon, and some things fit both K2 and K2LE and others don't, so would love to see opinions on things such as the Ringke Fusion case (does it really fit K2LE? ), Tudia case (could it fit K2LE), etc. With all these different cases, of which many aren't for the K2LE, is it the headphone jack that's truly the distinguishing feature between the 2 phones? Thanks! WHY OH WHY would you make the edges all BLACK? Why not just have the entire thing clear glass? Think the main reason behind the black boarders we are seeing is to hide the area(s) that usually have issues with adhesion (edges) as that is where one will notice it first. And don't think there are many phones manufactured these days that have "flat" displays in the true sense of the word. Ah, I didn't think of that - thanks for pointing that out. I guess I have just previously put up with bubbles, fingerprints, and god knows what. Have you received these and if so, what did you think? I know it's made for the Key2 and not the LE. The only issue is it partly covers the headphone jack, but I use Bluetooth so it's not a big deal. I have no doubt I can trim the case to make it work without sacrificing the integrity of the case. Otherwise, it fits almost perfectly, and will definitely provide scratch and corner protection. It feels pretty flimsy off the phone, but it feels really good on the phone, not adding any bulk/weight. Since I wasn't seeing much and/or conflicting info on other cases regarding whether they would work for the LE, thought I would share my experiences for my KEY2 LE. There seemed to be some extra play in the case with regards to the phone thus it was not a nice snug fit (using the Seidio Surface for Key2 LE as the reference). It wasn't bad, but it just didn't feel tight. More importantly, the headphone was completely inaccessible. You would have to dremel a significant 3mm or so to get it to work and that would get into the corner PC structure. The edge of the case does NOT rise upwards to protect the keys if you were to place the phone face down. I was quite disappointed by that. The fit and finish are fantastic. Just as nice as the Seidio in terms of fit. The silver back was quite nice and grippy, better than that of the Seidio. It's hard to describe the feel but was almost velvety. Although a tight fit, I could just get a headphone jack in the plug. However, I'd be lying if I said there weren't extra bearing stress induced on the male and female ends as a result. Dremeling away 0.5mm would be ideal and would affect the case minimally. The one negative - the edges too do not protect the keyboard when it is put face down. I so wanted to keep this case since it was half the cost of the Seidio, especially since it is very sleek and feels great in the hand. If only the case edges would rise up 1-1.5mm above the surface, it would be great. But since it doesn't, regrettably it will have to go back. However if this is not a concern for you, then this is the case to get. Anyhow, both cases were glass-shield friendly (Super Shieldz, see my review elsewhere). Perhaps these manufacturers will improve these points and make dedicated Key2 LE cases instead of leaving us floundering with really only one option, IMHO. bobster922 and KombatVirus like this. Wait, you have the Surface? How is it? Did you get the new, modified surface for the key2 LE with the new headphone jack location? The issue I am concerned with, and really hate, is that these companies do not make LE specific devices. I've been talking with Seidio support, back and forth by email, for over 2 weeks now. They can't confirm or deny whether the new surface case they released is custom tailored to the device, or they just changed the headphone jack hole to make it compatible with the Key2 LE. AFAIK, the Key2 and Key2 LE have totally different dimensions. Sure it might work, but unless it's built from the ground up for the LE's dimensions, why would I buy it? Really bothers me that the only case I can get was a 10$ amazon case (reviewed above) or those flip style ones (which I don't like). I just got the new Surface modified for the LE, only had it on for two days now, but I can tell you that it's a perfect fit. A review of that would be awesome when you have the time. Looks like the only case out there worth a damn for the LE. Posting this via the CB app so not sure how the URL will turn out. The case (like most from kwmobile) has a matte texture for the back, and a glossy one at the front half of the contours. Has anyone seen the authentic Blackberry leather case in stores? Amazon has listings for it but it ships from third parties and I'm skeptical that it's the real deal.